60mm Sunwood Aluminium capped rafter bar. 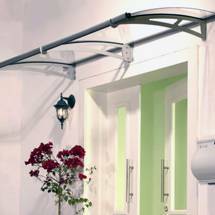 This is a powder coated aluminium screw down glazing bar. The clip in capping conceals your screws for a sleek, superior finish. 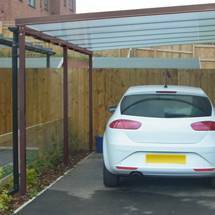 This Sunwood timber glazing bar is suitable for use with all thicknesses of glass and Multiwall Polycarbonate. 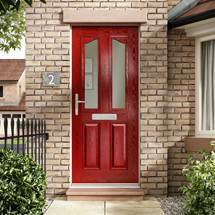 It is also ideal for solid glazing such as solid polycarbonate, Acrylic or PET. 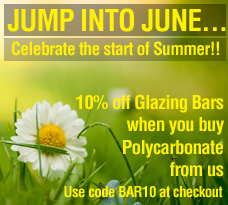 Spring Saver - enjoy a 10% discount from your aluminium capped rafter bars if you also buy your polycarbonate sheets from us by using the code BAR10 code before you check out. Stainless steel screws are included. Bar end caps can be purchased separately, please see ‘Rafter Bars - Trims and Accessories. To view prices and for further product details please select from the options below. The 60mm wide Aluminium Capped Sunwood Glazing bars are perfectly suited for use with alll thicknesses of glass from single skinned glass to all thicknesses of double or triple glazed units. It is also suited to all other roofing sheets including solid polycarbonate, acrylic and all thicknesses of multi-wall polycarbonate. 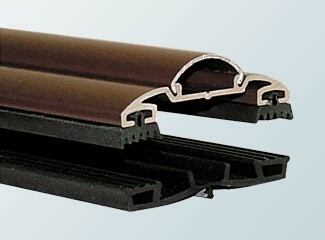 With a sleek low profile it is suitable for traditional or modern roofs. It’s neat rounded screw concealment capping makes it a perfect choice for high end, high quality rafter supported roofs. 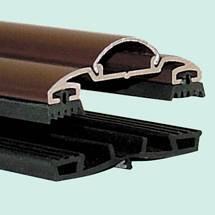 A very popular choice for timber conservatory roofs, this timber rafter bar is perfect an orangeries and atriums. This screw down rafter bar is also an excellent choice if you want to refurbish, refresh or waterproof an existing wooden conservatory roof. These 60mm wide rafter bars are very easy to fit and come complete with all required gaskets and stainless steel screws. To install, simply sit the base gasket straight onto your timber rafter and your chosen glazing then sits on this. The aluminium top cap is then firmly screwed down using the central groove as a guide to ensure a good central fixing through to your rafter. 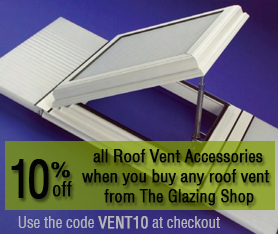 The top cap itself has two gaskets that sit atop the glazing giving a watertight seal. Finally the screw concealment profile is then ‘clipped in’ to complete the smooth, sleek look.